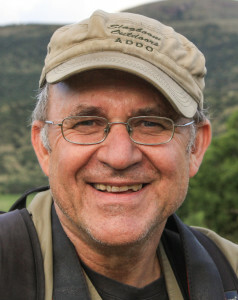 Beginning his career as a newspaper reporter, he moved on to magazines before becoming the award-winning editor of the Johannesburg-based Living Africa magazine. 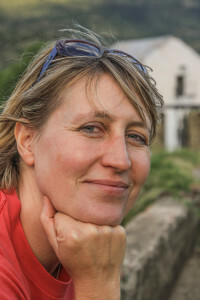 Finally freelance and newly-married (to journalist-editor Julienne du Toit) in 1998, Chris began another love affair – with the Karoo, South Africa’s vast dry heartland. Julienne is no stranger to a desert. She began her romance with the world’s dry spaces, aptly enough, by crossing the challenging Nullarbor Desert in Australia in 1998. Granted, it was while on honeymoon with Chris, and they were ensconced in a luxury compartment on the Indian-Pacific Express between Perth and Sydney. There was fine old 60s music, Foster’s Lager and kangaroo steak on tap. In her time she has tracked lemurs in the jungles of Madagascar, fought magazine deadlines as the editor of Keeping Track, a leading South African ecology magazine, spent a year learning Spanish in Chile and ridden the Mozambican currents at sunset on a fisherman’s dhow. The couple, who have co-authored seven books including Karoo Keepsakes I and II and 101 Karoo Towns, have lived in the Eastern Cape river town of Cradock since 2007. They now dedicate their time to promoting, defending and celebrating the Karoo. They are about to launch their newest book: Road Tripper Eastern Cape Karoo. It promises to break new ground as a printed traveller’s companion with a huge digital footprint. Travel with them here in KAROO SPACE.